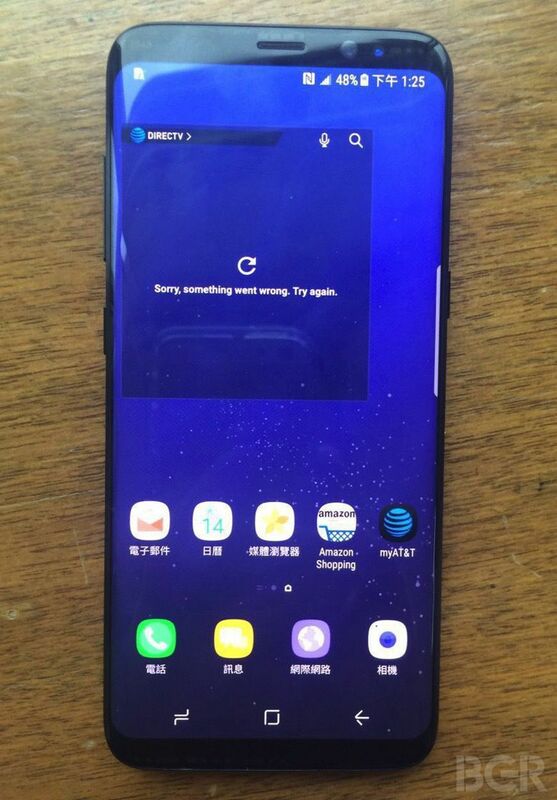 Samsung’s Galaxy S8 has leaked in a series of live images from MWC 2017. Dealing with the aftermath of its disastrous Galaxy Note 7 recall caused Samsung to postpone the Galaxy S8’s launch, which typically takes place at the annual Mobile World Congress show. Instead, the company used a press conference there to tease the upcoming S8. When the phone does launch, it will compete with handsets unveiled at the conference, like the slim, narrow-bezeled LG G6 and the BlackBerry KeyOne, which has a physical keyboard. Samsung will need to convince potential Galaxy S8 buyers that the phone will be safe, unlike the fire-prone Note 7. The photos show what GizOK says is the smaller 5.8-inch Galaxy S8 (Samsung will also release a larger 6.2-inch Galaxy S8+, if rumors are to be believed) and it certainly looks like the real deal. It matches with earlier leaks we’ve seen as well as the latest design render posted by reputable leaker Evan Blass.